"All our patients bleed red." Twin Cities Community Hospital CEO Mark Lisa has made that statement more than once over the last several months. To him, the words underscore his hospital's efforts to provide an inclusive environment for all patients, no matter their age, race, religion, and most recently, sexual orientation. "If we aren't prepared to understand and deal with all of the cultures that represent themselves in our community, then we are not doing our job," Lisa said. WELCOMING TO ALL Twin Cities Hospital became the first and only hospital in SLO County to be named a "LGBTQ Health Care Equality Leader" by the Human Rights Campaign Foundation. At Twin Cities in Templeton, Lisa and his staff have been working to create a more welcoming and supportive place for SLO County's gay, lesbian, transgender, and queer communities to get medical care. After a lengthy qualification process, Twin Cities announced on March 27 that it earned the designation of "LGBTQ Health Care Equality Leader" from the nonprofit Human Rights Campaign Foundation. According to the foundation, Twin Cities was one of 418 hospitals across the country that received that designation in 2018. The foundation only awards the designation to hospitals that meet its benchmarks in several areas, including having LGBTQ-inclusive polices, services, support, and outreach, as well as providing staff with training on LGBTQ issues. "This benchmarking tool has helped transform hospitals and health care facilities into more welcoming and inclusive places for lesbian, gay, bisexual, transgender, and queer patients, visitors, and employees," Chad Griffin, the foundation's president, stated in a recent report on health care equality. The process of certification included making sure that the hospital's polices, and even its marketing materials, contained language that was inclusive, and that the hospital provided specialized training for its employees ranging from its leadership to its doctors, nurses, and admissions staff. The goal of obtaining the certification is to make sure that members of LGBTQ community feel comfortable coming into the hospital for their medical needs and feel like that staff and doctors understand them and will treat them with dignity. If they do not, Lisa said that some patients might avoid seeking care for even minor medical conditions, which could get worse and negatively impact their health. "If members of the LGBTQ community feel uncomfortable accessing health care out of embarrassment, shame, or concerns about privacy issues, they won't be able to maintain a state of wellness," he said. The barriers that LGBTQ Americans face trying to obtain medical care are well documented. A 2014 national study by Lambda Legal, a nonprofit LGBTQ rights advocacy organization, found that 29 percent of gay, lesbian, and bisexual survey respondents said they believed they would be treated differently by medical personnel because of their sexual orientation. Another 9 percent said they believed they would actually be refused service. For transgender patients, the numbers were even starker. The same study reported that 70 percent of transgender or gender nonconforming patients said they'd experienced some type of discrimination while attempting to seek health care, including being the subject of abusive language, physical abuse, and even being refused care. "The statistics are very high for trans people when it comes to not getting [medical] services or not seeking services because they feel like they won't be welcomed," said Doug Heumann, chair of Tranz Central Coast, a local advocacy organization. "If they feel they are going to be abused or laughed at or treated poorly, then they are not going to go." Heumann, who is now a member of the Twin Cities governing board, is one of several representatives from the LGBTQ community who are taking an active role in ensuring that the hospital keeps its promise to be inclusive. In addition, the hospital also created an LGBTQ advisory council, which consists of both members of the community and hospital staff. "They are really putting their money where their mouth is," Heumann said. 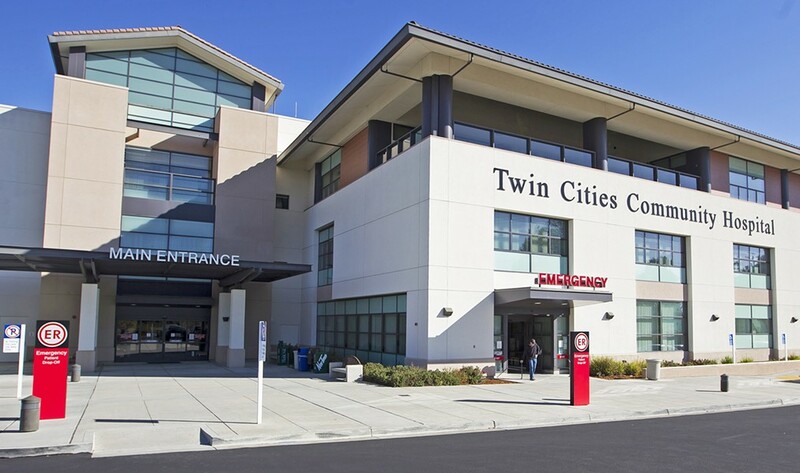 Currently, Twin Cities is the first and only hospital in San Luis Obispo and Santa Barbara counties to get the designation. According to the foundation's most recent report, many other California hospitals certified as LGBTQ Health Care Equality Leaders are located in either Northern California cities like San Francisco or Southern California cities like Los Angeles and San Diego.